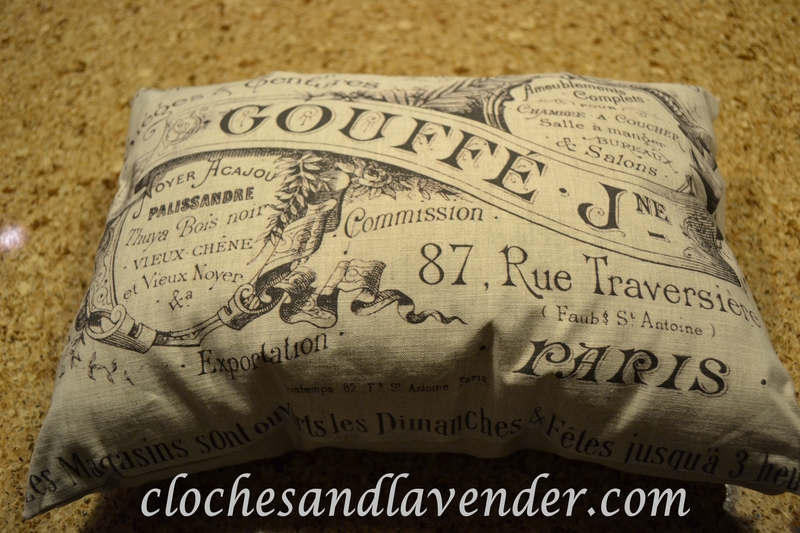 My New Etsy French Pillow, that I Forgot was Coming! Have you ever ordered something and forgotten all about it and then when it comes it is so exciting? Well, that happened with this pillow that I ordered from Etsy. It took a while getting here and I did really forget that I ordered the pillow. I thought it would look good as a new French addition to our living room at the desk that John and I made a long time ago. I think it just adds that touch. It is so you!!! I love surprises like that! I love that pillow! 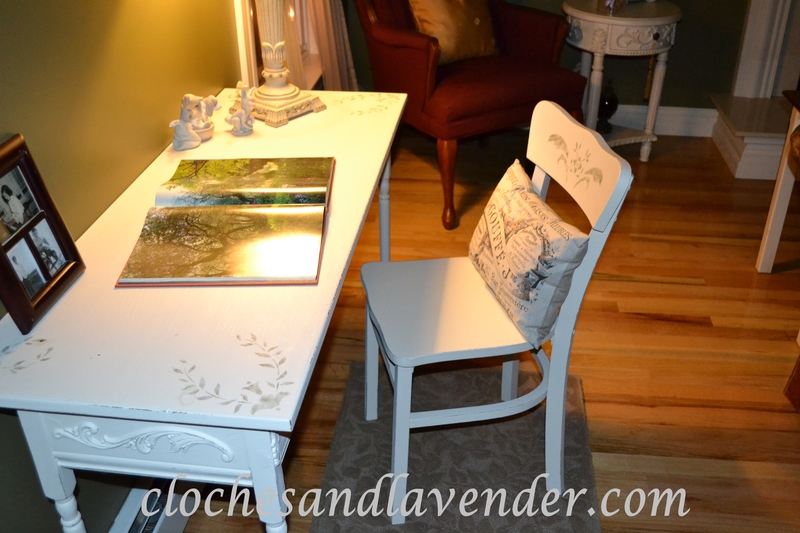 I too love Etsy, I found a lady on there who does slipcovers. I showed her a picture and asked if she could make those. She’s doing them as we speak. Luvvit! I love Etsy too! Thanks for you note. I just ordered pillows from Etsy too and I’m so excited!! Love yours! 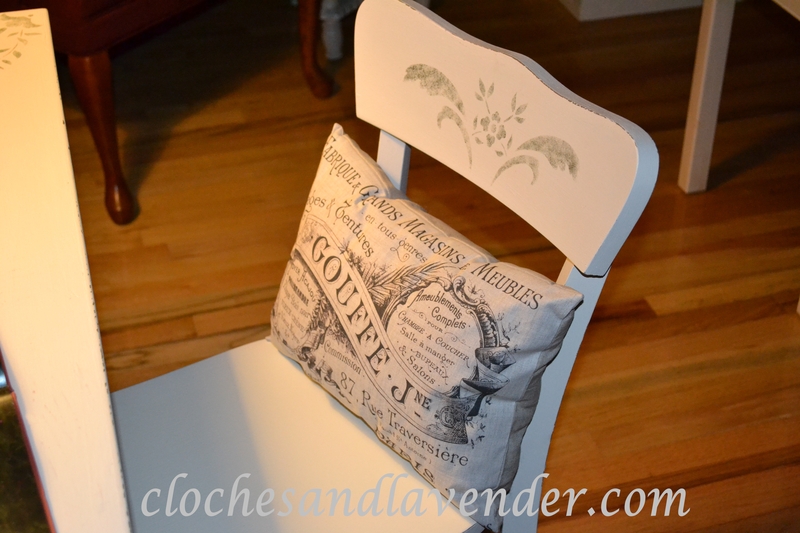 It is a very nice pillow and looks good on the chair to your writing desk. What a sweet pillow! It looks perfect on that chair. 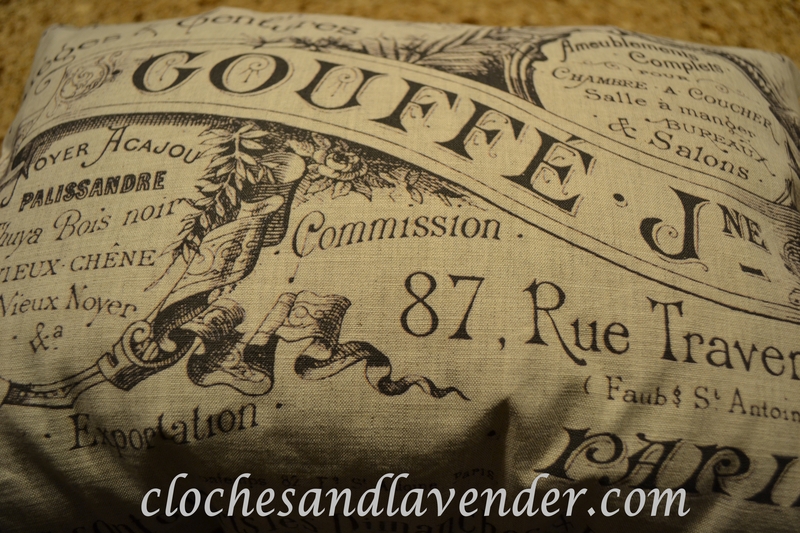 Oh, I love your French inspired pillow too Cynthia! It looks great on the writing desk chair. That’s an adorable pillow and I love the desk! Do you remember the name of the Etsy shop where you got it? Sorry I don’t I just looked under French pillows. That pillow is adorable! And it looks perfect on that chair. Don’t ya just love getting a surprise in the mail?! How fun! Thank you for sharing this with us this week at TTF. I hope you have a wonderful weekend! What a beautiful pillow! I love Etsy for all the wonderful things you can order now. Your desk makes it a perfect spot. Thanks for sharing on Simple & Sweet Fridays. Have a great week!